Dear Guests, welcome you at our hotel!We would like to welcome you at our hotel! We have done our best to provide everything necessary for good rest and effective work in our hotel. 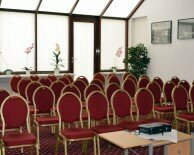 «Evropa» is the business class hotel located in the very center of Zhukovsky, 30 km from Moscow. 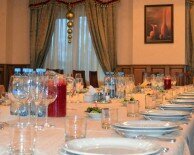 The hospitable and competent staff, cozy rooms and delicious food will receive you in our hotel. We are constantly improving — widening the additional services list and working out special offers for you. Your rest is our job that is why we actually improve our services. We appreciate our guests, so we do our best to satisfy any kind of customers. That is why it is really pleasant to rest and convenient to work at Evropa hotel!